In a vision, Sister Pierina was asked by Jesus to spread devotion to the Holy Face. He wanted us to make reparation for the many insults He had suffered in His Passion. Jesus was betrayed by the kiss of Judas, mocked and whipped by the soldiers, jeered and spat upon by the crowds, deserted by most of His apostles and crucified on a Cross. Today Jesus is dishonored in the Blessed Sacrament by neglect and sacrileges. Our Blessed Mother said to her that this medal is a weapon for defense, a shield for courage, a token of love and mercy that her Divine Son wished to give the world in these troubled days of hatred for God and His Church. Wear this medal, which can be obtained at religious goods stores or from these Sisters. 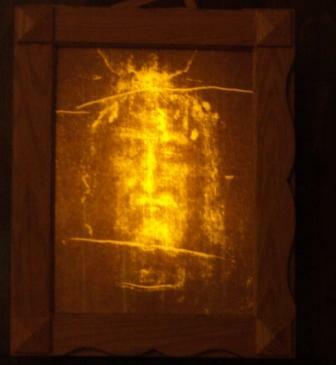 Shrove Tuesday is the special feast day for honoring the Holy Face of Jesus. If possible pay a weekly visit to the Blessed Sacrament on Tuesdays, in reparation for both the outrages inflicted on Our Lord’s Holy Face during His Passion and on Him every day when people receive holy communion in a state of serious sin. You will be granted the gift of a strong faith and a joyful death with the special assistance of Christ Himself. O Jesus, Who in Your Passion became “the most abject of men, a man of sorrows,” I venerate Your Sacred Face. Where once shone the beauty and sweetness of the Godhead, now it has become for me like the swollen face of a street person who has been badly beaten. Under those disfigured features I recognize Your infinite Love. I am consumed with the desire to love You and to make You loved by all men. O Jesus, whose adorable face fills my heart with love, I implore You to set deep within me Your divine image and to set me on fire with Your Love, that I may be found worthy to come to the contemplation of Your glorious Face in Heaven. Visualize Jesus carrying His heavy wooden cross. Exhausted, He stops for a brief moment. See yourself pushing through the crowd of people, until you are standing beside Him. In your hand is a white linen towel. You take the towel, which has been dipped in clean water, and gently wipe His face. The dirt and dried blood come off on the towel. With tears in your eyes, you tenderly dry His face. You can sense His thankfulness. You can feel His love. Then slowly and silently Jesus continues His journey to the Hill of Calvary, where He is nailed to the Cross.